Chris Rosenau of Volcano Choir just posted this (Photoshopped?) 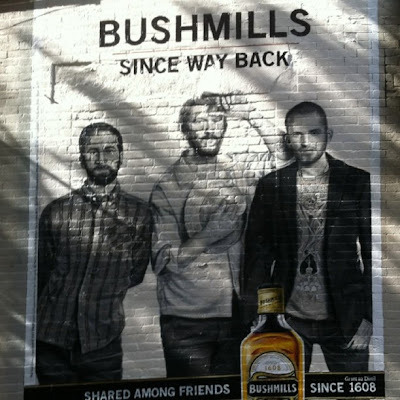 take on the Bushmills "Shared Among Friends" ad featuring Justin and Nate Vernon. Apparently these guys dig their Bushmills. UPDATE: We've just received confirmation that the ad is indeed for real.